The S Series features Leica Camera’s L-Mount, making it possible to use interchangeable lenses that meet the L-Mount specifications of Alliance partners, Leica Camera and Sigma. Panasonic is also offering three new S Series lenses at launch, with ten lenses to be announced by 2020. 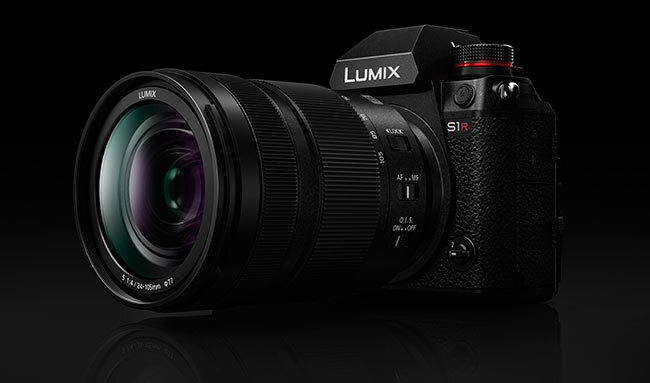 The LUMIX S1R and S1 boast newly-developed 35mm format sensors that will satisfy the most exacting professional, with impressive low-light performance and high dynamic range. For the first time in a full-frame camera, Panasonic is able to offer Dual I.S. (Image Stabilisation) 2 with class-leading stabilisation up to 6 stops, enabling handheld shots in situations that would previously have required a tripod or gimbal. And in another full-frame first, the cameras offer High Resolution Mode, up to 187-megapixels on the LUMIX S1R, allowing photographers in the landscape, architecture and product photography fields to create magnificent images and achieve highly detailed large-format prints. Panasonic has also introduced the innovative Hybrid Log Gamma (HLG) Photo Mode, which produces vibrant, high dynamic range (HDR) images in HSP[i] format for playback on the latest HDR TVs, allowing photographers to show true-to-life versions of their work. The S Series offers a combination of design and ergonomics that is second to none. The weather-sealed magnesium alloy frame is splash-resistant, dust-resistant and freeze-resistant down to -10 degrees Celsius. There are two high-speed memory card slots, one supporting UHS-II SD cards and the other supporting XQD (upgradeable to CFexpress in the near future). The class-leading Live View Finder offers the world’s highest resolution[ii] with a 5.7 million dot OLED display. The 2.1 million dot monitor has a triaxial tilt design for further shooting versatility, offering superb flexibility in a variety of situations, including high and low angle shooting and portraits. The cameras are also designed for powerful video performance, recording smooth 4K 60p/50p[iii], and High Speed Video lets users record slow motion video in 4K (maximum 60 fps/50 fps) and FHD (maximum 180 fps /150 fps). Both models are compatible with an XLR microphone adaptor enabling professional audio equipment to be used. The LUMIX S1 has a full sensor readout, capturing 4K 30p/25p/24p with no recording time limit. Furthermore, the S1 – via a software upgrade key available later in 2019 (to be sold separately) – will support 4:2:2 10-bit 4K 30p/25p internal video recording and 4K 60p/50p via HDMI output as well as the V-Log picture profile featured on Panasonic’s acclaimed Varicam products. The LUMIX S1R has a 47.3-megapixel full-frame CMOS sensor (36mm x 24mm), the highest resolution in its class[iv] and supports low-light shooting at up to ISO 25600 (extendable to ISO 51200). The LUMIX S1 comes with a 24.2-megapixel full-frame CMOS sensor (35.6mm x 23.8mm) that provides a wide dynamic range and excellent performance, and supports low-light shooting at up to ISO 51200 (extendable to ISO 204800). An AR coating on the sensor of the LUMIX S1R/S1 minimises ghosting and flare even in backlit conditions, enhancing the cameras’ performance when used with L-Mount lenses, such as the LUMIX S Series. Panasonic’s Dual I.S. 2 technology combines 5-axis internal stabilisation with the optical image stabilisation in selected lenses[v], and can support up to 6 stops[vi] of image stabilisation – enabling shooting still subjects handheld at much slower shutter speeds and ISO values. This system precisely calculates shake information from the gyrosensor, image sensor and accelerometer sensor for highly accurate shake detection and compensation, in particular for low-frequency movement. In addition, the Status Scope function displays a pointer that provides a visual representation of the camera’s micro-movements, and allows the user to compensate – especially useful when the viewfinder or rear monitor blacks out during a long exposure. The S Series also introduces High Resolution mode and HLG Photo mode to take full advantage of the high-resolution sensor’s exceptional ability to produce highly detailed, true to life images. High Resolution mode will be welcomed by studio photographers who want to produce enormous billboard-sized prints without losing detail, utilising sensor shift technology. It captures and combines eight consecutive images in-camera for outstanding results – from reproducing the delicate colours of natural landscapes to intricate fine arts for archival images. It produces a 187-megapixel equivalent (16,736 x 11,168-pixel) RAW and/or JPEG image for the LUMIX S1R and a 96-megapixel equivalent (12,000 x 8,000-pixel) image for the LUMIX S1. Photographers who want to take advantage of the latest display technologies will be excited about the newly-created HLG[vii] Photo feature, with a wider dynamic range that ensures more natural contrast. This format enables compatibility with HDR displays, preserving the brightest highlights and deepest shadows. The user can playback these vibrant images as HSP files on the latest Panasonic HLG-compliant 4KTV via HDMI cable connection or on other HLG-compliant devices. HLG Photos can be produced as an HSP file with compressed high-brightness signals in stunning 8K resolution on the S1R (7,680 x 4,320 in 16:9) or in full resolution on the S1 (5,888 x 3,312 in 16:9). In addition to standard Automatic White Balance (AWB) mode for an accurately balanced image, if users have a preference for a warmer or cooler image, they can select either AWBw for rich, warm skin tones in portraits, or AWBc for cool urban streetscapes, while still retaining automatic white balance. Panasonic has achieved high-speed AF with its advanced control technology incorporating the major devices – lens, sensor and imaging engine. The lens and sensor communicate at a maximum 480 fps. Contrast AF with DFD technology allows the LUMIX S1R/S1 to achieve an ultra high-speed, high-precision AF of approximately 0.08 sec[viii]. 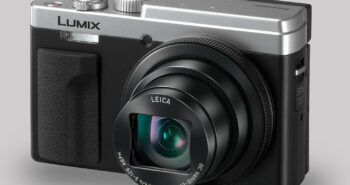 The LUMIX S1R/S1 also boasts high speed burst shooting at 9 fps (AFS) or 6 fps (AFC). They excel in low-light shooting, with -6EV[ix] luminance detection performance in Low Light AF, thanks to the higher sensitivity and optimised tuning of the sensor. The high-precision shutter unit operates at a maximum 1/8000 second. The external flash can be synchronised with the industry’s fastest shutter speed of a maximum 1/320 second[x]. Panasonic’s face/eye detection technology makes it possible to capture people in crisp focus, with the Eye AF capability detecting the pupil of the eye in precise focus for impressive portrait shooting. The S Series also incorporates Advanced AI Technology that detects specific subjects – humans and fast-moving animals. The camera keeps tracking these subjects even when they are not facing the camera. Panasonic allows the photographer to make the most of these high-speed capabilities with 6K Photo[xi], recording a burst of 18-megapixel still images continuously at 30 fps. The camera also incorporates 4K Photo, capturing 60 fps in 8-megapixel resolution. In 6K/4K Photo, three modes can be selected depending on the situation: 6K/4K Burst, 6K/4K Burst (Start/Stop) and 6K/4K Pre-burst. The S Series’ LVF (Live View Finder) has been newly-designed to support ultra high-speed response, minimum distortion and high optical performance. The LVF boasts the world’s highest 5,760k-dot resolution[xii]. The high-speed OLED technology delivers a smooth 120 fps display, a minimum time lag of less than 0.005 sec and an exceptional 10,000:1 high contrast ratio. The 0.78x magnification ratio can be switched to 0.7x or 0.74x, an excellent feature for glasses-wearers who can adjust the magnification in order to see the full frame. For further operational ease, there is a 2,100K-dot triaxial tilt touch monitor, which can be used in conjunction with the viewfinder for Touch Pad AF, to set focus on any point in the field of view at a touch. A largest-in-class Status LCD on top of the camera allows settings to be checked at a glance. Other useful LVF features include Live View Boost, which boosts sensitivity so the user can check compositions in the dark. Night Mode puts a red cast over the viewfinder and/or the LCD display. Red light does not affect the photographer’s vision when shooting night scenes, and does not disturb wildlife. To be tough enough to withstand heavy field use, the camera structure is composed of a magnesium alloy full die-cast front/rear frame. Robust construction and a seal for every joint, dial, and button make the LUMIX S1R/S1 not only splash resistant[xiii] and dust resistant but also freeze resistant down to -10 degrees Celsius. The durable shutter unit will withstand around 400,000 releases. The cameras have a firm grip, making them easy to hold for long periods. The control buttons and dials are ergonomically located to enable the user to concentrate on shooting. The adoption of an 8-directional joystick and refined UI (User Interface) also supports quick operation. In addition, illuminated buttons increase visibility in low-light situations. An operation lock lever prevents unintentional operation. Field work is also streamlined with Bluetooth 4.2 Low Energy connection and secure 5GHz Wi-Fi (IEEE 802.11ac) providing convenient remote control and sharing with other devices, and fast data transmission. Lumix Sync is a new application for iOS/Android devices, which enables photo transmission to a smartphone or tablet via easy wireless connection. It also allows remote control of the camera using a smartphone or tablet. The 7.4-V 3,050 mAh high-capacity battery can be quickly charged via USB PD (USB Power Delivery), using the bundled USB3.1 Type-C cable for high-speed data transfer. A variety of new accessories are available including Remote Shutter (DMW-RS2),　Eyecup (DMW-EC6), Battery Grip (DMW-BGS1) and Battery Charger (DMW-BTC14). The Battery Charger also complies with USB PD and enables quick power charging in approximately two hours. The camera can be used while charging via the Battery Charger adaptor. The Panasonic External Flash (DMW-FL580L / FL360L / FL200L) can also be mounted on LUMIX S Series cameras. The LUMIX S Series features a host of professional video features, with both cameras capable of 4K 60p/50p[xiv] video recording[xv]. In addition, the LUMIX S1 realises full sensor readout in 4K 30p/25p /24p, which means that the user can record video in the original viewing angle of the lens. HDR video recording is also available using the HLG Photo Style. The camera records video with a designated gamma curve compatible with ITU-R BT.2100. Both S Series Cameras also offer a number of features to support professional recording in the field. An HDMI Type A terminal is provided, with a cable lock holder for extra security. LINE input is supported by a 3.5-mm microphone jack. This makes it possible to input sounds from an external audio device, for more efficient video production. A 3.5-mm headphone jack is also available. Dedicated switches allow direct, quick control. MIC, LINE and CONDENSER MICROPHONES are switchable. The cameras are compatible with the DMW-XLR1E Microphone Adaptor, allowing professional microphones to be connected for best audio quality. • In addition to the standard 3:2, 4:3, 16:9 and 1:1 aspect ratios, the newly-developed 65:24 (Film Panorama) and 2:1 (6 x 12 cm) aspect ratios are now available for still shooting. 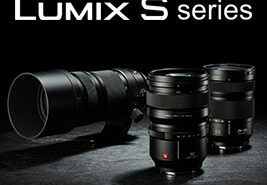 • Lumix Tether software enables tethered shooting. Users can control the camera by connecting it to a PC via USB. Images can be viewed on a large PC screen while shooting, which is helpful in commercial photoshoots of portraits, products and so on, where continuous confirmation is required. During tethered shooting, the user can start and stop video recording and use 6K Photo and 4K Photo. [i] “HSP” is an HDR picture format using HLG format video technology. [ii] As a Digital Single Lens Mirrorless Camera, as of February 1, 2019. [iv] As a Digital Single Lens Mirrorless Camera, as of February 1, 2019. [v] 5-Axis Dual I.S.2 can be used with the lens S-R24105 and S-R70200 as of February 1, 2019. [vi] Based on the CIPA standard [Yaw/Pitch direction: focusing distance f=200mm, when S-R70200 is used]. [vii] “HLG (Hybrid Log Gamma)” is an international standard (ITU-R BT.2100) HDR format. [x] The guide number decreases when the shutter speed is set to 1/320 of a second. As a Digital Single Lens Mirrorless Camera, as of February 1, 2019. [xi] 6K PHOTO’ is a high speed burst shooting function that cuts a still image out of a 4:3 or 3:2 video footage with approx.18-megapixel (approx. 6000 x 3000 effective pixel count) that the 6K image manages. [xii] As a Digital Single Lens Mirrorless Camera, as of February 1, 2019. [xiii] Dust and Splash Resistant. To avoid damage when using camera under these conditions, it must be used in accordance with the associated instructions in the manual. [xv] Maximum 15 minutes in 4K60p and unlimited recording time in Full HD until the SD Memory Card becomes full or the battery runs out.